Labor day is always a bittersweet holiday, isn’t it? We get a three-day weekend, but we know that summer has officially ended after the weekend is over. The warm sunshine is gone but we are now full swing into fall weekends full of sweaters, Football, and bonfires. If you ask me, that doesn’t sound too bad! And plus, now that it’s cooling down you might be more likely to get out of the house with your pup! 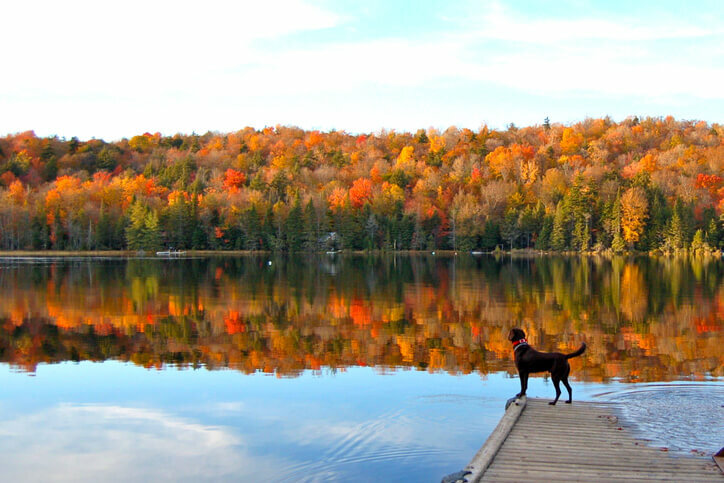 Autumn brings lots of pet-friendly activates around every year, hence why it’s one of my favorite seasons. 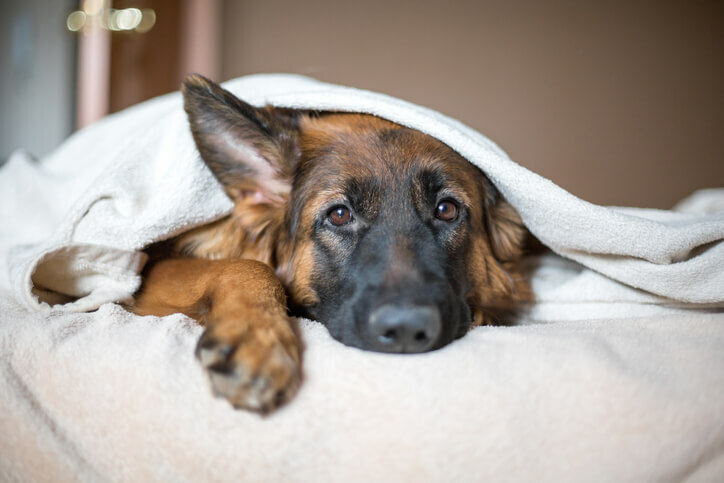 With the weather cooling down, you can bring your pup out without worrying about the summer heat. 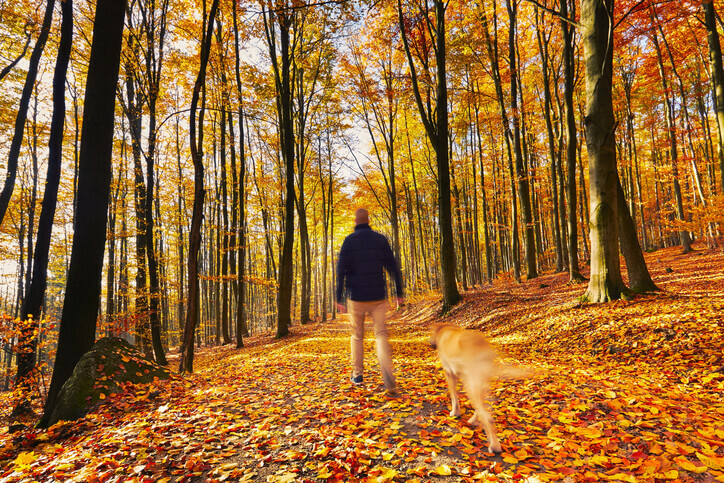 Make sure you and your pup make the most of this mild weather before winter kicks in, with some of our favorite things to do in the fall with our pups. Live in a city, or near one? Find a free walking tour and take your pup with you. Even if you live in the city, tag along and you’ll be surprised what you can learn! You’ll be shown spots that you may have not known about and learn all about the history of your city. Heck, you will probably find a few restaurants you’ll want to try. Not to mention you and your pup will be getting some exercise! Most cities are doing them, just pop ‘free walking tour near me’ into Google and I’m sure something will come up. While it is free, the tour guides usually do a great job so bring some cash for a tip. PS – make sure to bring poo bags! Fall is the prettiest time to take a hike in my opinion. The forests are on fire- lit up all shades of orange, red, and yellow. 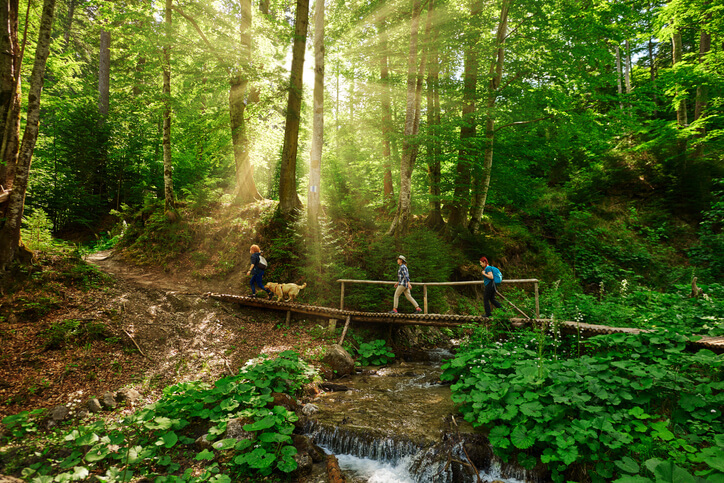 The trails tend to be less populated than the summer months, meaning you and your pup can have them all to yourself. 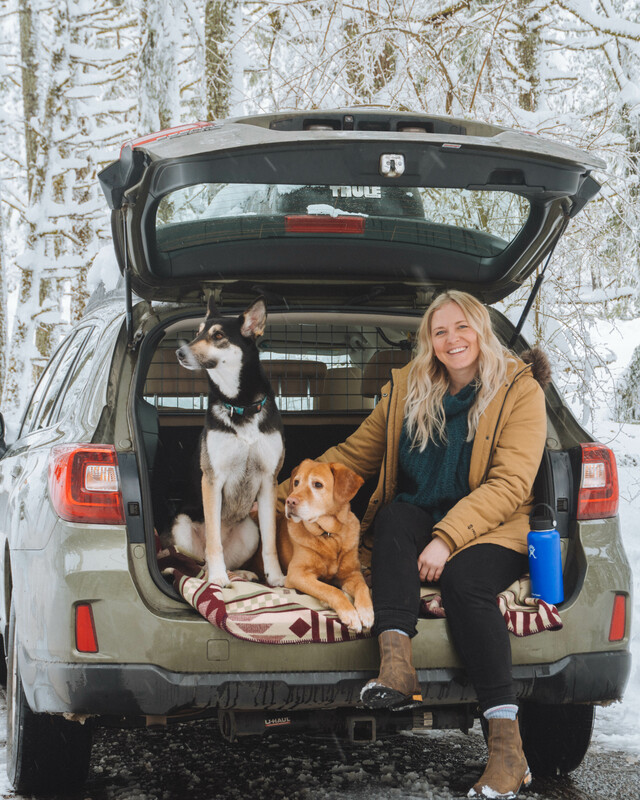 Pack plenty of water and a warm sweater then head out to your closest national park for a day full of beautiful sites and a happy dog! It wouldn’t be a fall festivities list without ‘visiting a Pumpkin Patch’ on the list. Pose for fall pictures on the pumpkins, climb on the trailer for a hayride, and enjoy the day with friends, family, and your pup. Then spend the evening carving pumpkins and getting into the Halloween spirit! Most pumpkin patches are dog-friendly, but it’s a good idea to call ahead or visit the website to make sure. 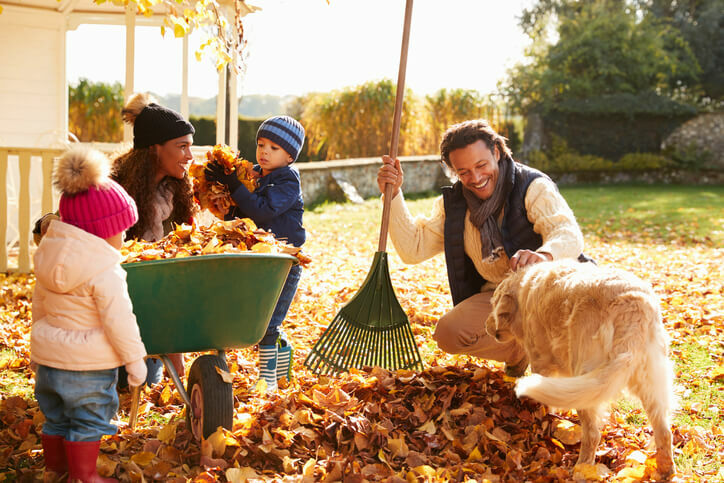 While raking leaves is no one’s favorite part of fall, jumping in them is! 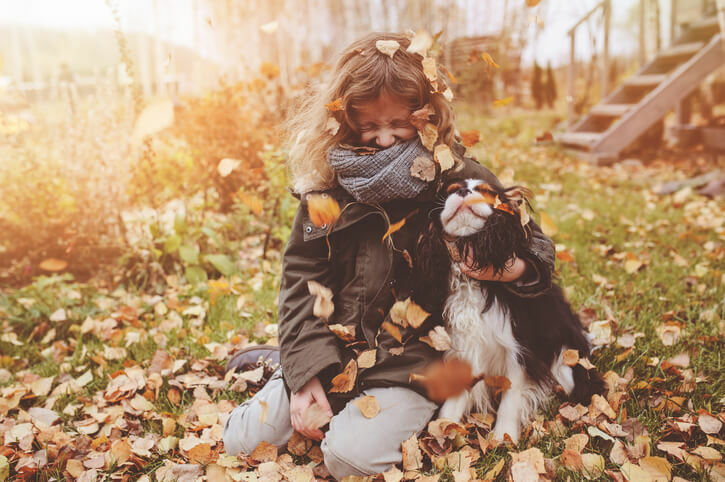 Before you rake your yard up, get outside with your pup and let them have a roll. Nothing gets my dog excited like snow and a pile of leaves. If your dog loves to play fetch, throw the tennis ball into the leaves to give them an extra challenge. One of my favorite parts of tailgating is getting to meet all the Football dogs. Most college and high school stadiums allow dogs, but this might not be feasible for some NFL stadiums. However, if you live close to the stadium or have someone who is just coming for the tailgate, bring your pup around and let them enjoy the fun too! 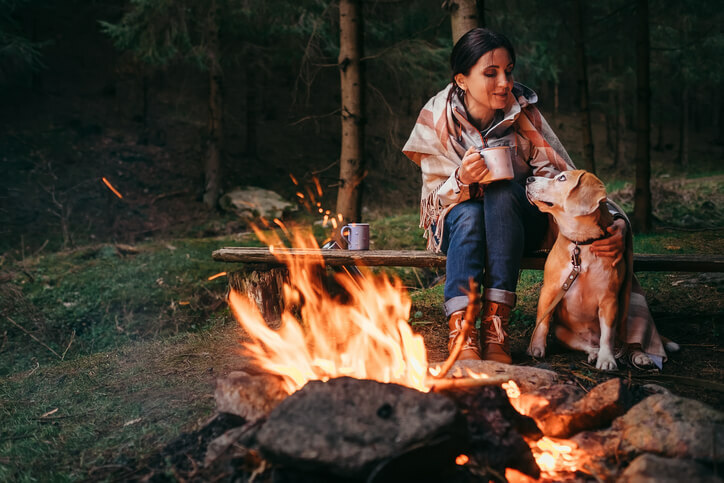 Whether it’s in your backyard or a campground, fall is the perfect weather to sleep under the stars. Be sure to pack a cozy sleeping bag and some firewood then spend the night around the bonfire telling ghost stories and eating smores. That’s what fall is for, right? Have you had your PSL (Pumpkin Spice Latte – can you believe they have an abbreviation for it!?) fix yet? Make it a date with your dog, walk over to your Starbucks and ask for a Puppuccino from their secret menu! Don’t worry, it’s perfectly safe for dogs! Nothing tastes better than a freshly picked apple! Underrated compared to pumpkin patches, apple picking can be just as much fun. Grab your dog and the family and find an apple farm near you, checking that it is pet-friendly of course. It may only be the beginning of September, but before we know it Halloween will be here! 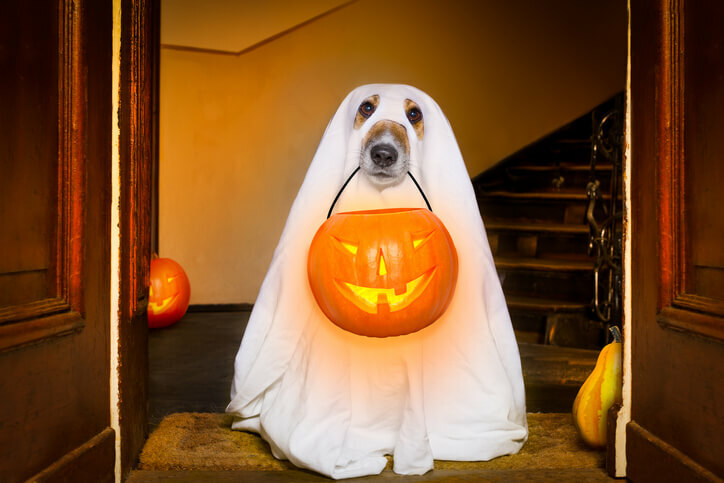 Whether you’re going out trick-or-treating with the kids, or staying in and tending to the door, it’s always fun to involve your pup by dressing up. My personal favorite dog-human duo is a vendor and a hotdog.